Buick has finally confirmed that the 2016 Envision will be arriving in the U.S. and will go on sale by summer 2016. The 2016 Buick Envision has achieved considerable success in the Chinese market and Buick is hoping to replicate the same success with the American consumers. While the Buick Envision was designed and tested in the U.S, the compact crossover is being built in General Motors' Shanghai facility in Yantai, China. 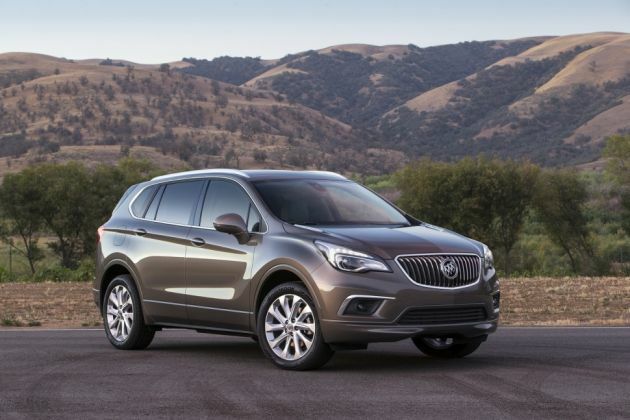 The 2016 Buick Envision is the first vehicle built on GM's new global compact platform. With its popularity booming in China, Buick has decided to slowly import the vehicle into the U.S. market. In China, the Envision was recently named as Motor Trend's SUV of the Year and is expected to sell 140,000 units in its first year. In the U.S., the compact crossover is expected to fill the gap between subcompact Encore and the full-size Enclave. The Envision is 183.7 inches long – 15 inches longer than the Encore and 18 inches shorter than the Enclave. It has a seating capacity of up to five passengers. The 2016 Buick Envision will arrive with an all-wheel-drive system. The compact crossover will be powered by a 2.0-liter turbocharged four-cylinder engine that produces 252 horsepower. The engine comes with a stop-start system and is mated to a six-speed automatic transmission. Buick has revealed that a front-wheel drive and a second powertrain is being considered for the future, possibly by 2017. The all-new Buick Envision will come standard with numerous premium features including a panoramic sunroof, an 8-inch IntelliLink infotainment system, OnStar with 4G LTE and Wi-Fi, a Bose audio system, active noise cancellation and a power liftgate. The compact crossover also comes with a heated steering wheel, eight-way power front seats and heated rear seats. The Envision is bolted to 19-inch aluminum wheels. The 2016 Buick Envision is scheduled to make its official U.S. debut during the 2016 Detroit Auto Show taking place this January. More information will be revealed closer to its release date.